In a far off universe located in a far off dimension called ‘time’, I wrote a daily blog for three years on Blogspot. That was when internet blogging was in it’s infancy and I like so many, thought it would be fun to jump in the pool and get my writing feet wet. Well, not really, I have been writing for a very long time. I was blessed, (or cursed) by having a teacher who insisted our class churn out a newspaper. And I like the other inmates learned how to put thoughts down on paper in fear of flunking the class. And this teacher beat into our heads the tenets of journalism, Who what, when, why, where and something else, I think that is how it goes. I have never been paid a dime for the articles I write or for that manner, this blog or my radio shows on air. As you can see this website and content is not monetized but may be down the road. Communicating my thoughts and beliefs has never been about an income, I suppose I’m stupid in that regard, some people have congratulated me on a Letter to the Editor, or for informing them about something on the local or regional scene that I uncover as an investigative journalist. My main media format is radio, I like to say I have a radio face and body (not suitable for viewing on the television or in film). The beauty of radio is the listener can form a vision of how handsome or ugly you are based on what you have to say, and whether they agree. I have leaked out my image on a Youtube channel and during bi-weekly Facebook Live broadcasts of my radio show. The reason I Facebook Live broadcast a live radio show isn’t complicated, I have people who live beyond the FM signal of the local show and have complained they can’t tune in the station. Facebook Live allows me to reach them. The archives of the local radio show can be found on this website, they are in the blue box in the right-hand column that is labeled “The Dwight Lilly Show”. Simply click on the box and the archives appear. The archived shows are a couple of days old. My radio show archives ended up on this website for the same reason I ended up on the radio, fear of censorship. Yes, Facebook has censored some of my shows by claiming I violated their standards. In reality the content was not meeting the socialist-statist views of Facebook. A problem many are experiencing who have posted there. I have never had any formal radio training, I was approached by the owner of a radio station to share my ‘uncensored’ views on his FM station, KPFF 97.7 in Pahrump, Nv. This was the result of the local county government censoring and harassing me, for vocally speaking out about corruption and incompetency during public meetings. So as you can see I came to writing this blog entry or radio in a round-a-bout way, never really meaning to be a writer or a radio show host, but out of necessity. Is it a stretch to claim I’m a writer or have anything meaningful to say? If you have read this blog entry up to this point, then I accomplished having a reader read my musings. Not earth shattering but musings none the less. Or is this an outgrowth of a narcissistic psychosis? Now I’m going down the Rabbit Hole. In addition to being an on air personality on a local radio station, I have also been on two internet radio stations, KCOR Digital Radio Network out of Las Vegas, Nv. and currently Revolution Radio Network out of Kentucky, which is the largest listener supported internet radio network in the world. I have no way of verifying any claims of listener-ship at any of the above, but I do know people listen as I receive messages from around the world as well as locally. So how did this website come about you might ask? 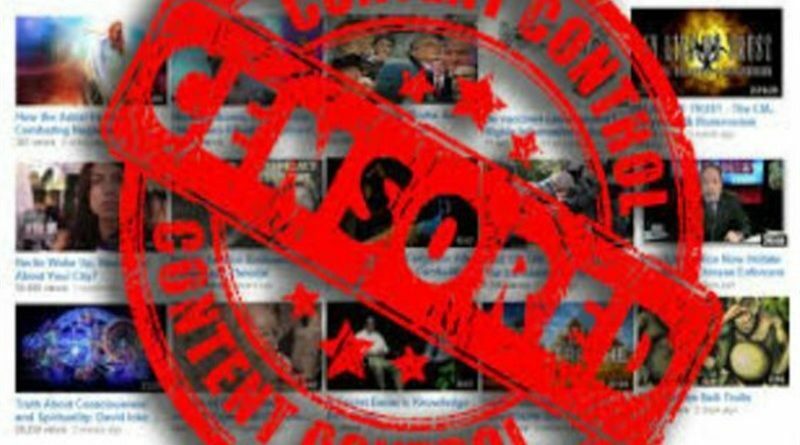 This website was born when I decided to have a censorship free site where the media content I turn out could be archived, and as a site where I could share a variety of views and information that are not readily available in the mainstream media. The name of my radio show on Revolution Radio is “A Journey Down The Rabbit Hole”, and it airs on Fridays from 6 – 8PM EST. at www.freedomslips.com, Studio B. The the name of this website is a reflection of the content from that radio show, as well as the content from KCOR. Some of those shows you can find at this site in archived form. The rabbit hole theme came about as a result of research on a variety of topics the show covers, and the show guests. My views have changed on most topics as a result on me having to dig deep doing research for a show and listening to what my guests have to say. Yes I say my views have changed, because like all of you, I have been subjected to 24/7 propaganda since I was in my mother’s womb. I have found that the truth is more often than not, 180 degrees from the lies and distortions spoon fed to us by the second. For the record, I don’t claim to believe everything I share on this site, I’ll let you the reader or listener decide your yourself what is true or fiction. I do hope the content stimulates you to dig deeper too. In fact, I might hold just the opposite views of those who are my radio guests, or the authors of the articles I share. That’s about all I have to share tonight, when you see another blog entry is up depends on whether I have something to share, a view, or an opinion. I don’t want to tie myself to a schedule where I’m forced to write here, the focus is on the many writers and sources from the minds and beliefs of others… and on you the visitor to this website. ← Sin Is A Made-Up Religious Marketing Scheme?